To celebrate my 50th post on SeaJetCook, I wanted to post one of my favorite dishes of all time: Mango Salsa over Mahi Mahi. There are so many reasons why this is my favorite. The mango brings me back to one of my favorite places in the world: the beach in Hawaii. The cilantro in the salsa reminds me of growing up in Southern California, my home. Fish is one of my favorite foods ever, and mahi mahi in particular tops the list. It’s spicy, sweet, light, and fresh. The crunchiness of the salsa perfectly balances the delicate flakiness of the fish. The deliciousness of this meal is to die for (no pun intended, keep reading), and I just lucked out that it’s incredibly healthy, too. Maybe this is a little morbid, and maybe it’s a bit of an over-share, but my family and I have often discussed what we would want our last meals to be. More specifically, what our death row meals would be. It’s weird, I know. But if you throw away the weirdness, what it really boils down to is what our favorite meals are. I know Clinton’s would be teriyaki steak and chicken with a zesty salad and giant scoop of white rice. My dad’s would be a bone-in filet with a baked potato, sautéed mushrooms, and beets. Mom’s would be the same (which is why they’re meant for each other). Throw a big helping of steamed broccoli and creamy, garlicky mashed potatoes with mango salsa-topped mahi mahi, and you have mine. So here’s my recipe, I hope you all enjoy this dish as much as I do! It’s spicy, sweet, fresh, and simply delicious. The fact that it’s healthy is just an awesome afterthought. Though I generally like to multitask when cooking, I like to make the mango salsa before I even start cooking the fish. It gives the salsa time to let the flavors marry and letting me focus all my attention on one element of the dish. Start by peeling your mango. Once it’s peeled, cut off the very bottom to make a flat surface or base, making easier to cut around the pit. 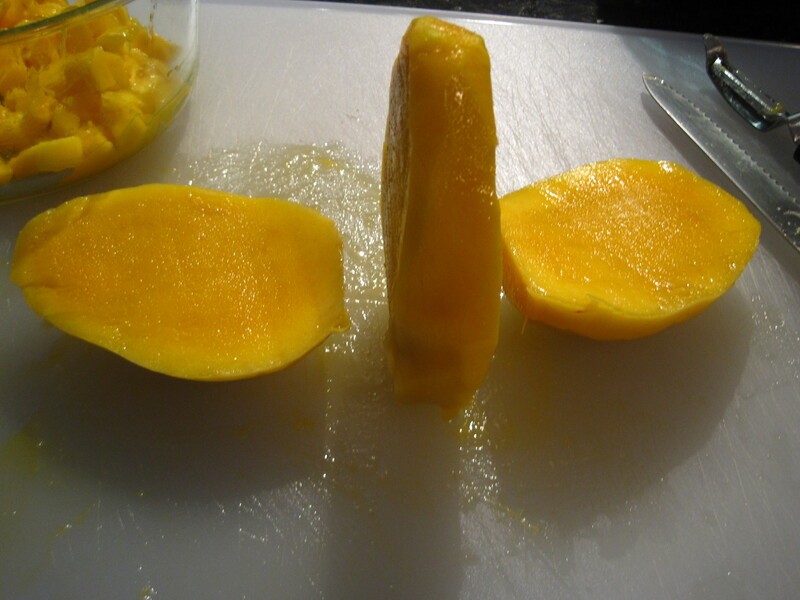 Use a paring knife to cut off the flesh of the mango around the pit. Chop the mango into small- to medium-sized chunks. Add to a medium-sized bowl. Cutting a base on your mango makes them easier to cut. After you cut off the big fleshy sides of the mango, they’re easy to chop into small, salsa-perfect pieces. 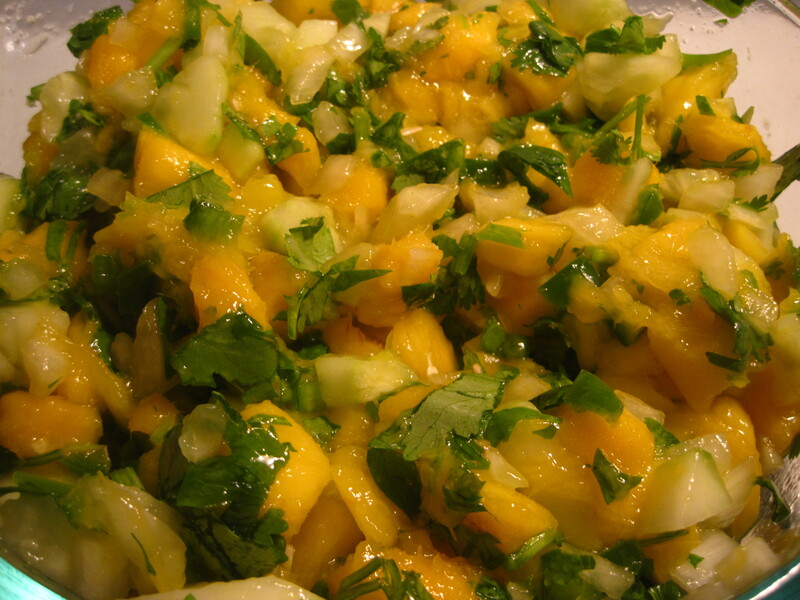 Peel your cucumber and chop into chunks, making them about the same size as your mangoes, and add to the bowl. Finely chop your onions. The chiles are going to give you the heat in your salsa. Start by cutting them in half and removing all the ribs and seeds to control the heat (the spiciest parts). Then mince into very small pieces and add to your bowl. Chop your cilantro with both the leaves and stems – I like to leave the stems in because I think they have a ton of flavor that you miss when you add only the leaves. Add the lemon juice to your bowl, and thoroughly combine. Set aside. This is delicious with fish, chicken, pork, or simply with tortilla chips as an appetizer. It’s a fun twist on a traditional favorite. **Tip: I purposefully make extra servings of the mango salsa because it’s also delicious to simply serve with tortilla chips as a dip. You can also use it to top chicken or pork. 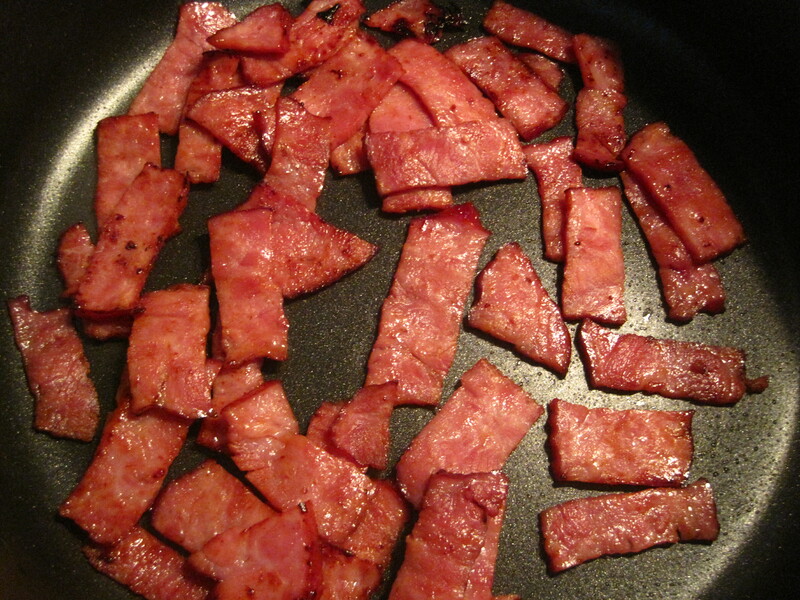 Set a pan over medium-high heat on your stove, and spray with cooking spray. Cook your mahi mahi in the pan for about 4-5 minutes on each side. 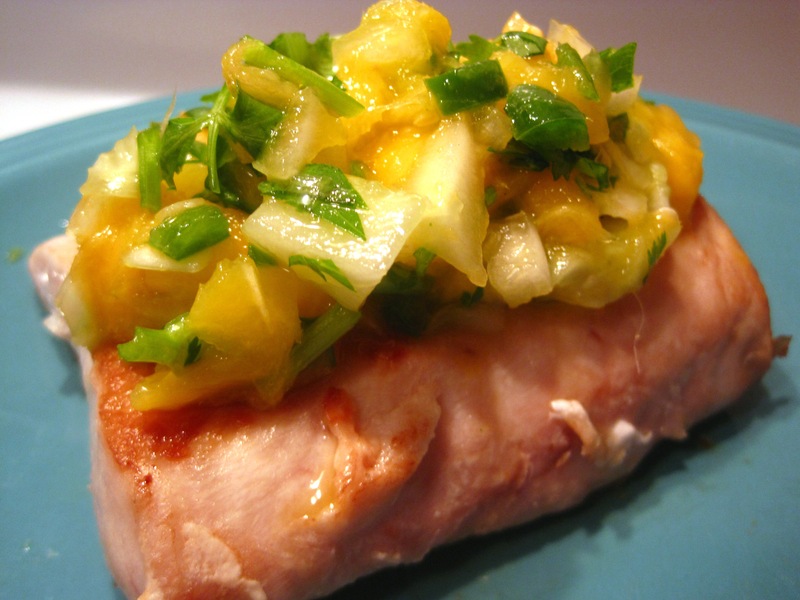 Top your mahi mahi with mango salsa and enjoy! **As I’ve written my 50th post on the 5 month anniversary of SeaJetCook’s launch, I would like to thank all of my readers. I started this blog as a small passion project. It was a way to write down some of my recipes so I wouldn’t forget them, and I hoped to inspire a few hesitant cooks to get in the kitchen and give cooking a try. So far, SeaJetCook has reached thousands of readers in 27 countries, which simply astounds me. While I set out hoping to inspire you, it’s you that has inspired me to keep creating and keep writing. So again, thank you. And bon appetit! We’ve finally made it to the last installment of my turkey meatball series. 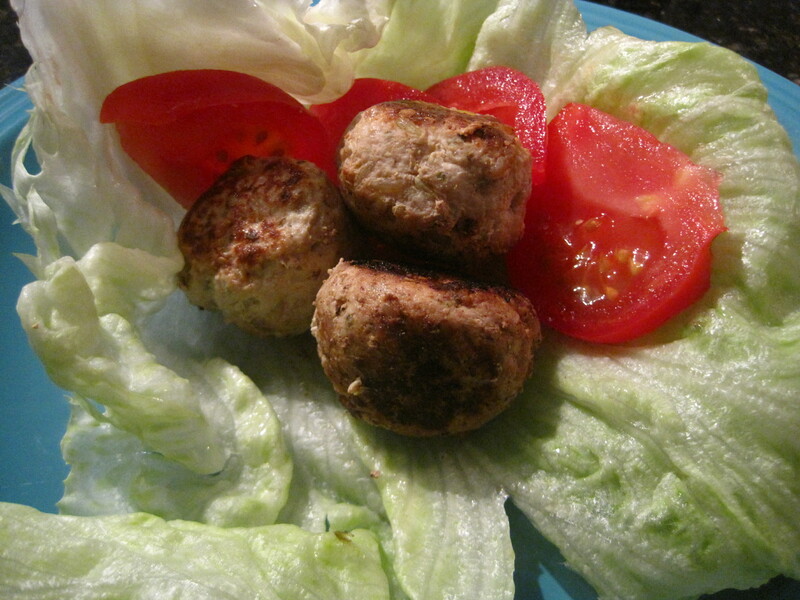 As you’ve read, most of my turkey meatball recipes are healthy spins on old favorites. 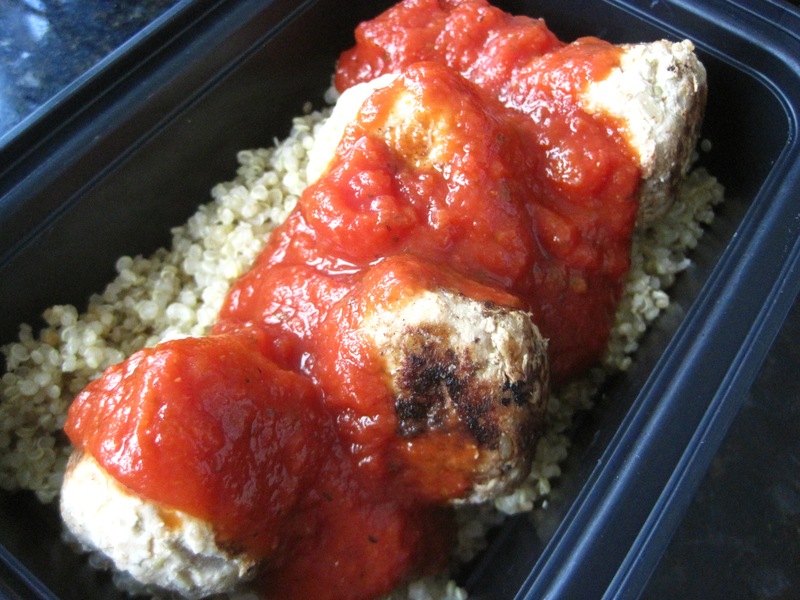 First and foremost, the turkey meatball itself is a healthy spin on a traditional Italian meatball, using brown rice instead of bread crumbs and extra lean ground turkey instead of pork or veal. Then we had the turkey meatball lettuce wrap take the place of a traditional meatball sub, and the turkey meatball soup is a healthy version of a matzoh ball soup. Part 4 is the pièce de résistance in my healthy swaps. Instead of serving a traditional meatball over a pile of pasta, I’m serving the already-healthier version of meatballs over quinoa with a big scoop of marinara. 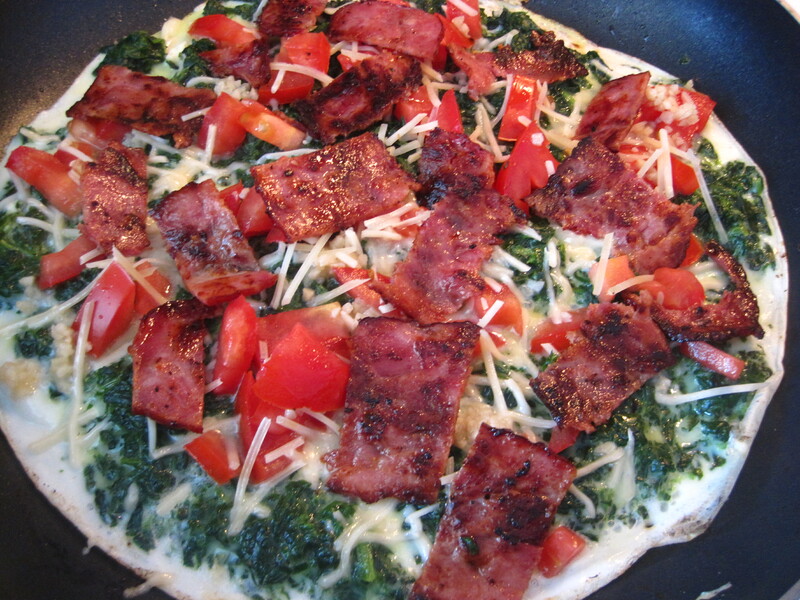 It absolutely satisfies my craving for Italian food (which I crave often), while being much more figure friendly. I bring this to work for lunch all the time, and my coworkers always ask, “What smells so good?” The quinoa soaks up the garlicky marinara, and the herbs in the sauce bring out the oregano in the meatballs. It’s a perfect, delicious, guilt-free weekday meal that takes virtually no time to make. Already packed in a Tupperware for lunch. Yum. This recipe is less about cooking, and more about assembling already cooked ingredients. I usually have quinoa already cooked and packed in Tupperware in my fridge, the turkey meatballs have already been cooked on the weekend, and I just use a store-bought jar of sauce. If you don’t already have the quinoa cooked, simply follow my Quick and Easy Quinoa recipe. You need one part quinoa to two parts water. Like I mentioned, I usually make a big batch and store it in my fridge for up to a week. If you haven’t already made your quinoa, bring your quinoa and water up to a boil in a small saucepan. As soon as the water starts to bubble, cover and turn the heat down to low. Let it sit for about 10 minutes. Assemble your dish by putting down 1/2 cup of cooked quinoa, top with the turkey meatballs, and slather with the marinara. If you’re bringing this to work for lunch, just reheat for 1 minute on high in the microwave. Delish! We’re on to part 3 of my turkey meatball series, and you’ll have to trust me with this one. When I first heard of turkey meatball soup, I was very skeptical. So one night when Clinton was out of town, I made this dish for myself (I didn’t want him to be a guinea pig for a dish that even I was unsure of). Because I put in the work on Sunday to make a big batch of turkey meatballs – like I’ve been preaching over the last couple posts – I grabbed a few from my fridge and gave it a try. Needless to say, I’m so glad I did! This dish reminded me of matzoh ball soup. 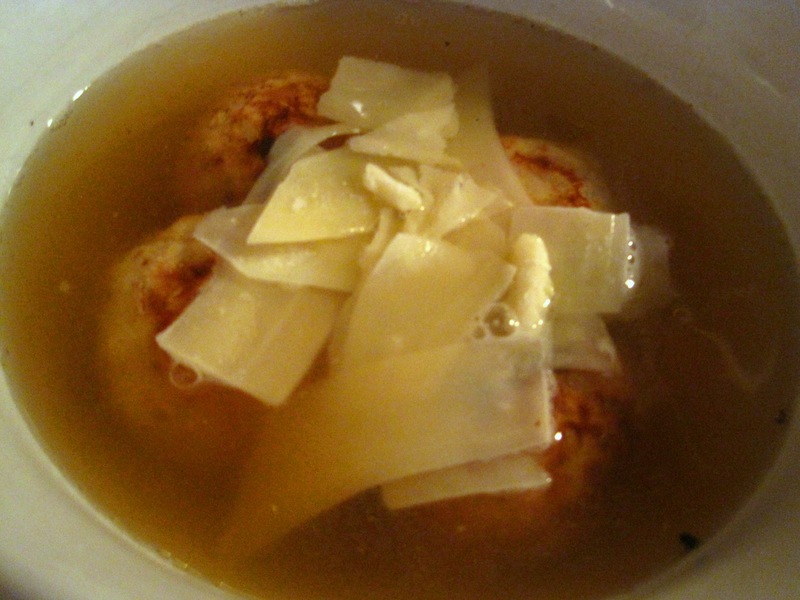 The broth is slightly salty, which adds a different flavor to the turkey meatballs. At the same time, the pops of garlic, onions, and oregano in the meatballs add plenty of flavor to an otherwise boring broth. Besides, it’s kind of fun to break into one of those meatballs and take a giant scoop of meat, cheese, and broth! As long as your turkey meatballs are made ahead of time, it’s a delicious, 5 minute dinner dish that uses only kitchen staples. 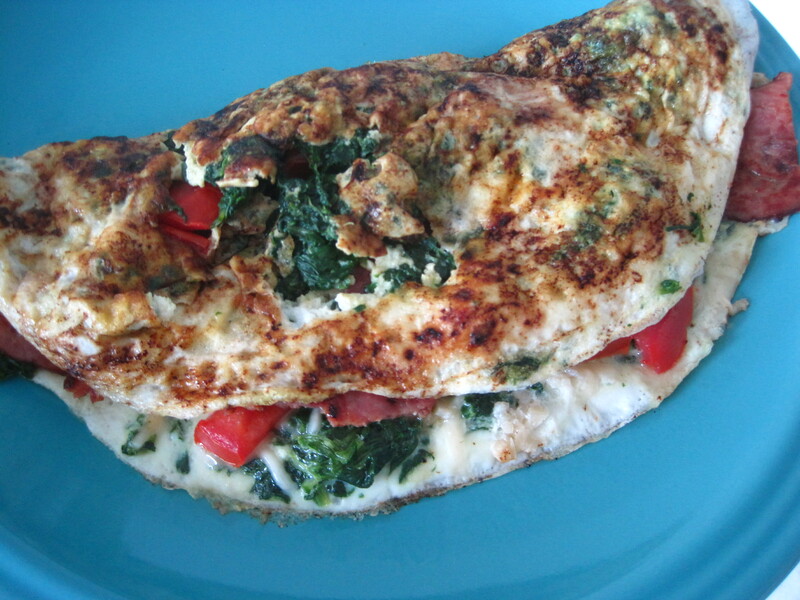 Added bonus: it’s about 200 calories, over 25 grams of protein, and very low carb. It’s perfect for a lazy Wednesday night. Trust me, this is delicious. And wouldn’t you want to try any dish that takes only 5 minutes to make? Heat up your turkey meatballs and chicken broth separately so that the turkey meatballs have the opportunity of heating all the way through. The turkey meatballs take about a minute on high in the microwave. The chicken broth takes a minute on high in the microwave, too – heat the chicken broth in the bowl you’re going to eat the soup in. Put the meatballs in the warm broth and top with the Parmesan. The Parmesan will get all melty and gooey – delicious! This is an easy one to pack for lunch, too. Happy Sunday! And welcome back to my 4-part turkey meatball series. 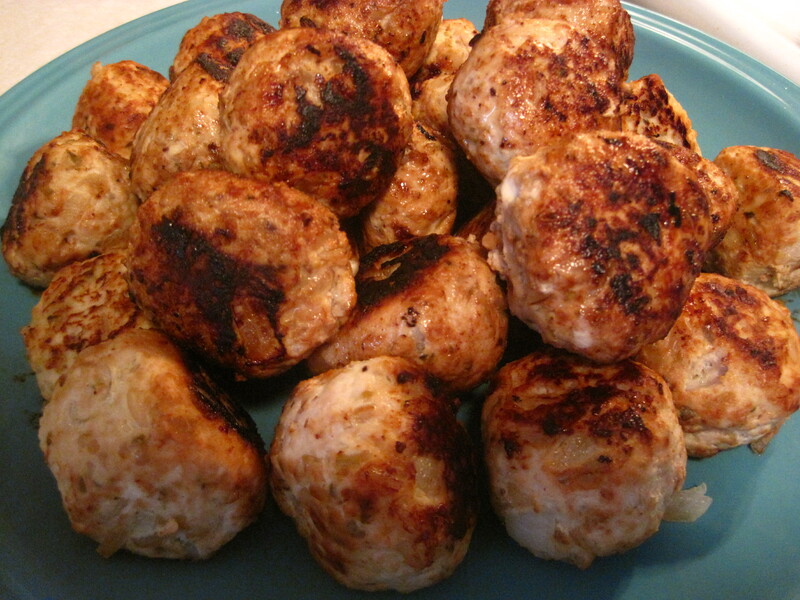 Hopefully you have read part 1 of the series about my basic turkey meatball. I talked about the healthiness of it, the easiness of making it, and how delicious it is with pops of onion, garlic, and oregano in every bite. It’s a great basic staple to make on the weekends that allows for easy assembly of different dishes all week. Depending on the size of your family, double, triple, or quadruple the basic turkey meatball recipe accordingly. It may seem like a lot, but you’ll want these to last you all week. My basic recipe alone is good enough for one: me. But if I’m preparing lunches and dinners for Clinton, too (which I always am), I double the recipe. Like I’ve mentioned before, I have a few go-to recipes to incorporate these goodies all week. Let’s get started with my first one: Turkey Meatball Lettuce Wraps. The beauty of this is that it leaves you completely satisfied without feeling heavy – if you’ve ever eaten a giant meatball sub you know what I’m talking about. Instead of throwing meatballs on a bun and slathering them with marinara sauce (which you could certainly do once in awhile for a splurge), I have opted for a healthier alternative. **Side note: I hope that after reading my blog for awhile, you don’t think “healthy” means “tasteless.” Healthy can be quite tasty. So when I say healthy, I mean that you’re getting all the nutritional value needed to keep you running at your highest level. Cooking healthily just leaves the door open for creativity with spices and textures; I promise that my healthier alternatives won’t leave you craving more. Since your meatballs are already cooked, heat them up for 1 minute in the microwave. Don’t worry about drying them out, they’re already incredibly juicy and can stand reheating. Carefully peel off a few outer layers of your lettuce. I like iceberg best because it makes great wraps (see my Italian Turkey Burger recipe for another use), but you can also use romaine if you have it. Set 4 large lettuce leaves on your plates for your foundation, 2 on each plate. Slice your tomatoes in half, remove the stem (as shown here), and thinly slice. Pile the 2-3 turkey meatballs and half of each tomato onto one lettuce leaf so that you have 2 turkey meatball lettuce wraps on each plate (I find that the lettuce leaves hold better when I split each serving in half). And enjoy! 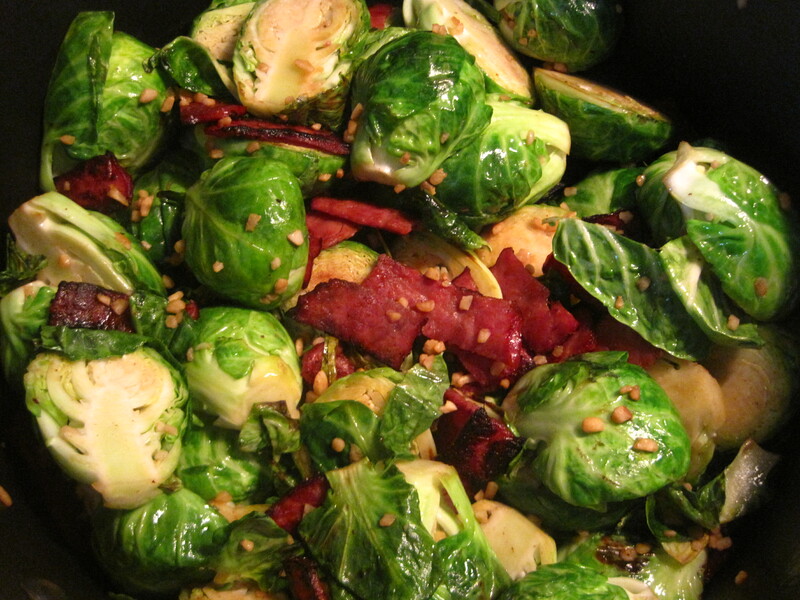 In less than 5 minutes you have a healthy, delicious dish perfect for any weekday night. Serve with any steamable veggie you already have in the freezer. Welcome to my 4-part turkey meatball series! For the next few posts, I’m going to try something new. First, I’ll give you a basic item – in this case, a turkey meatball recipe. Then, I’ll take that basic item and build on it for the next few posts to show different ways to use it in your cooking. This is a great way to do a brunt of the work on the weekend so you’ll have quick, healthy meals ready to assemble for the rest of the week. Turkey meatballs are a great way to start. They’re really tasty with tons of flavor from the garlic, onion, and oregano. But they’re also incredibly healthy because I’ve substituted brown rice for bread crumbs, leaving the calorie count at 162 per serving with 21.4 grams of protein, 7.2 carbs, and very low sodium. And they don’t take too long to make – only about 30-45 minutes depending if you’ve already made rice or not. Not to mention, you’ll already find a lot of these ingredients in your kitchen staples. These babies are a great staple that the whole family will love. 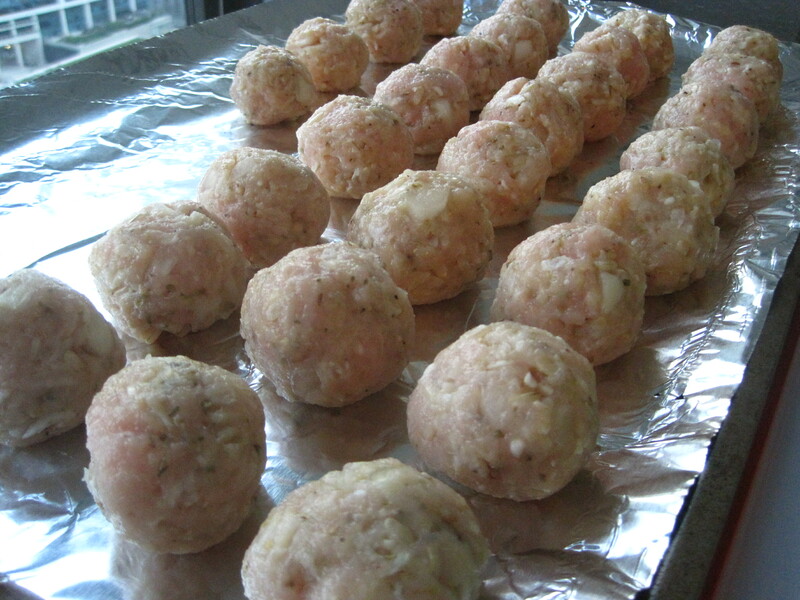 Let’s get started with my basic turkey meatball recipe. Start by cooking your brown rice. You can instant brown rice or regular brown rice, cooked over the stove or in a rice cooker. Whatever the method, you’ll want 1/2 cup rice and 1 cup of water. If you cook it over the stove, start with both the rice and water in a pot. Bring to a boil, then immediately turn the heat down to low and simmer covered for about 10 minutes. After the rice is done, prep your space. Have a cutting board and medium mixing bowl out, a large pan on the stove, and a baking sheet covered in aluminum foil. As I roll my turkey meatballs, I put them on the baking sheet covered with aluminum foil so I can pop them in the pan at the same time – the aluminum foil helps save me from washing the dish. Crack your egg into the medium mixing bowl and scramble. Chop your onion very fine; you want the pieces small so that they mix in well with the ground turkey and other ingredients. 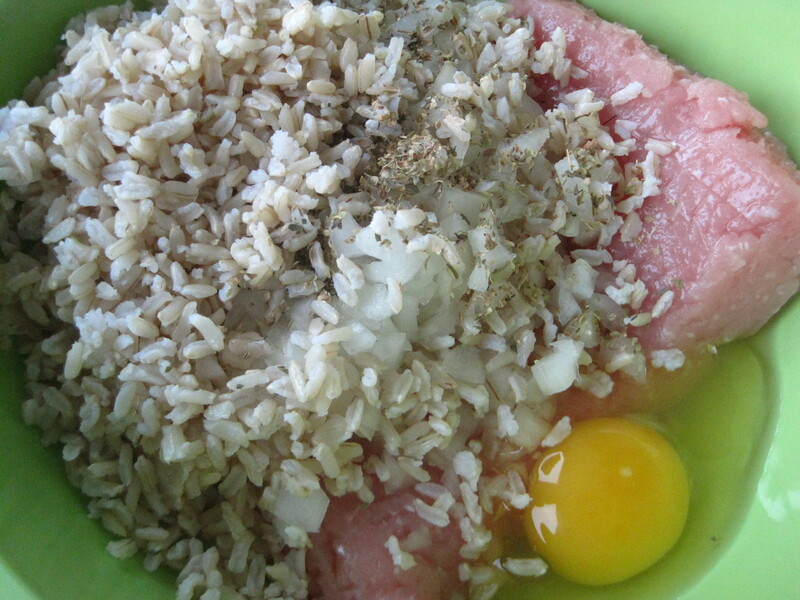 Add it to the egg in the medium mixing bowl along with the brown rice, garlic, oregano, S & P. Then, add the ground turkey. Okay so I didn’t scramble my egg first in this case. Trust me, it’s better and easier if you do. I just wanted to show you what the mass of ingredients looks like. Use your fingers to combine all the ingredients. This way, I find that you combine the ingredients more thoroughly, and (let’s face it) it’s kinda fun. Besides, your hands will be messy anyway because you must roll out your turkey meatballs with you hands. After the ingredients are combined, tear off a small piece of the mixture and roll into a 1-inch ball in your hands. Place on the baking sheet as you go, and keep rolling the meatballs until they’re done. Put on good music or an entertaining TV show to watch while you roll these guys. They don’t take long, but you will be standing there for a few minutes. Turn your pan on medium-high heat and add your olive oil. 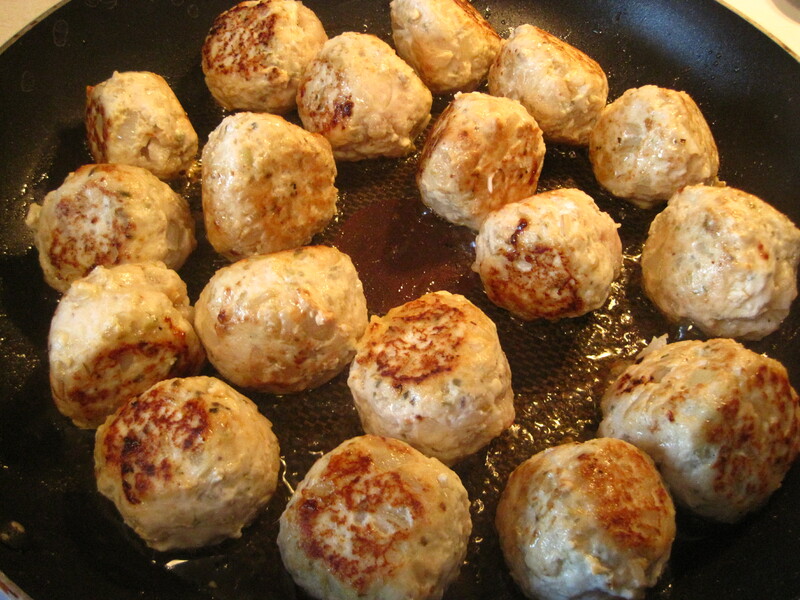 Once the pan is heated, add as many meatballs as will fit in the pan. Cook for about 6-8 minutes, constantly turning and rotating to brown all sides – if you’re unsure if the meatballs are done, select the largest one and break open to see if it’s cooked through. If it’s done, feel free to enjoy a small snack. I figure it’s the chef’s prerogative to sample as he/she goes anyway! Work in batches if your pan isn’t large enough to hold all the meatballs. These smell so good when you cook them. The garlic and onion really pop. Enjoy! Make one of the upcoming recipes right away, or pack ’em up in a Tupperware and refrigerate to use for the rest of the week. In my opinion, veggies by themselves can be pretty boring – especially if you eat them every single day (as you should). In the interest of being healthy, I make it a point to snack on veggies every day for either my morning or afternoon snack. They’re easy to throw in with my lunch for work, and they’re great to snack on while I’m sitting at my desk. But I always need a little something else, something to go with the veggies that adds a little richness and makes my afternoon snack slightly more filling and satisfying. This is where my Tangy Yogurt Veggie Dip comes in. Rather than dip my veggies in Ranch dressing – which believe me, I’d love to do – I have this dip to satisfy my craving. 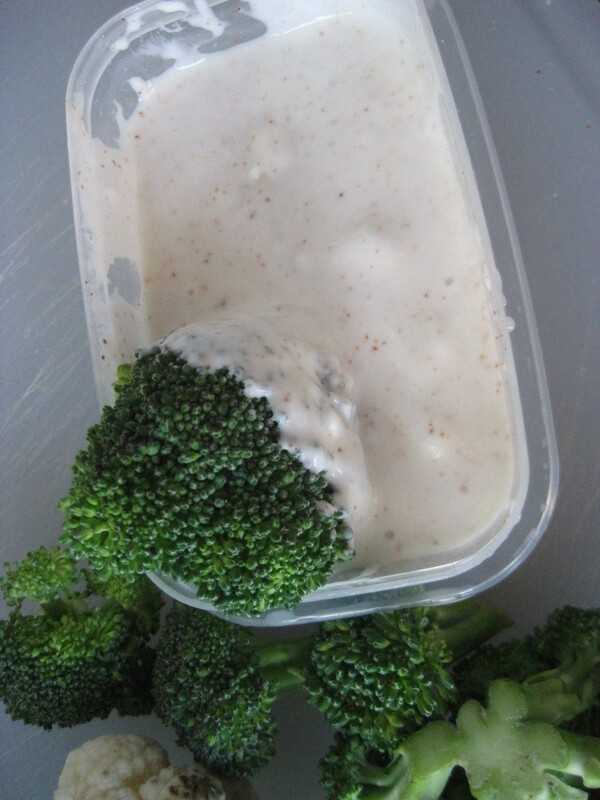 Ranch is too fattening, processed, and high in sodium to qualify for a healthy snack; it cancels out the veggies. Instead, this dip has all the creaminess of Ranch, but it’s not processed and it’s high in protein, which adds nice balance to the fiber-rich veggies. Plus, I added lemon juice and a little cayenne pepper for a little zing. It’s easy to make little containers to pop in your lunches for work, or even bring to a BBQ or serve at a party. 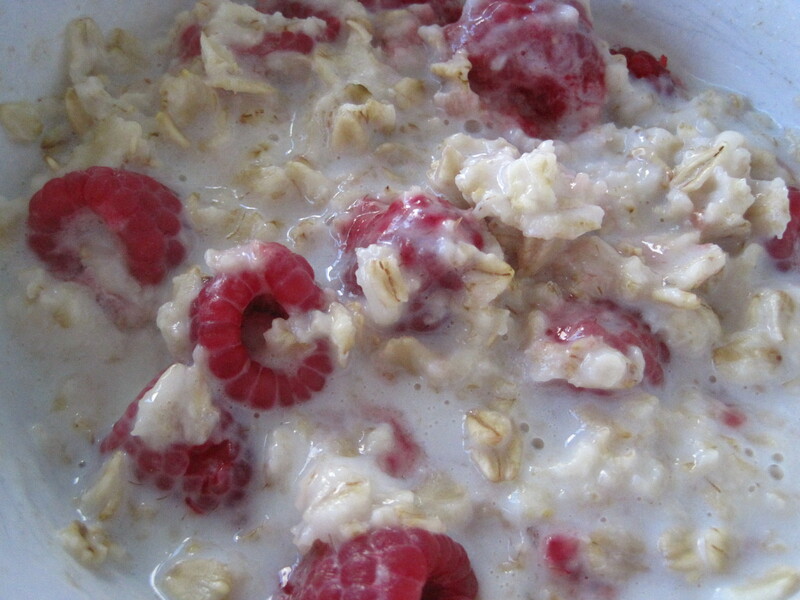 This one was inspired by my favorite health expert – Bob Harper. **This makes the perfect serving size for a snack, but increase the amounts based on how much you need. It’s just two parts Greek yogurt to one part lemon juice. Add cayenne pepper to add a little heat. Take all ingredients and mix. Simple as that! I have these little containers that I throw these ingredients in, then seal the lid and shake. Serve with any kinds of veggies. My favorites are baby carrots, celery, slices bell peppers, broccoli, or cauliflower. At the risk of sounding super cheesy, this one is healthy for the hips, but tastes naughty on the lips! This recipe is one of the best happy accidents I’ve made in awhile. In fact, I just made it tonight and was so excited that I had to post about it right away. 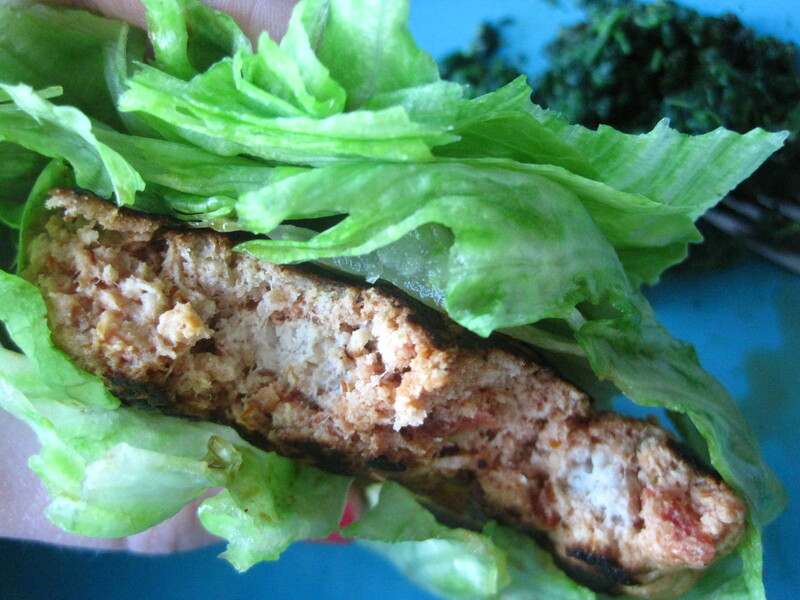 Turkey burgers have a tendency to be bland, dry, and frankly unappetizing. But at the same time, they’re incredibly healthy, so I try to eat them every once in awhile to mix it up. 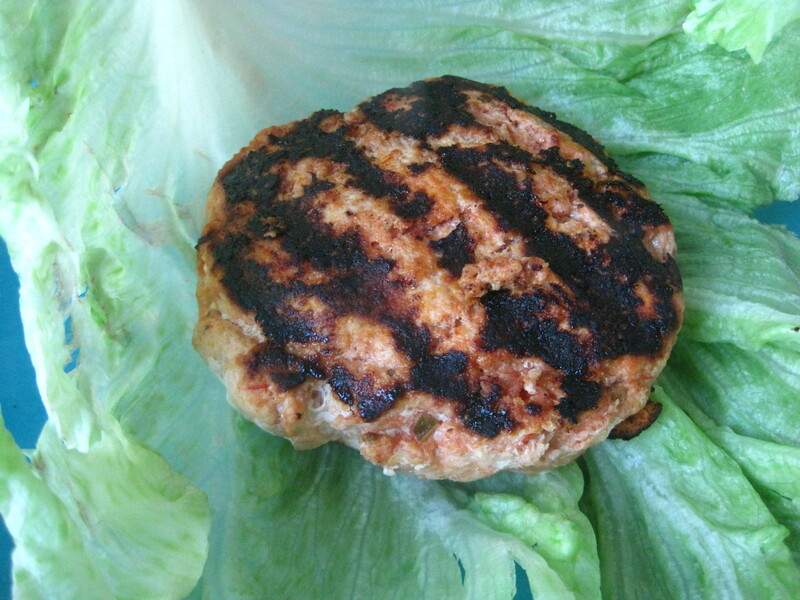 When I came across a recipe for an Italian Turkey Burger, I was intrigued and thought I would try it out. This morning, I wrote down all the ingredients I would need and planned to stop on my way home from work. The recipe called for lean ground turkey, crushed tomatoes, Italian seasoning, garlic, and Parmesan cheese. Since the seasoning, garlic, and Parmesan are all in my kitchen staples, I knew I had them in my kitchen. All I needed was the turkey and tomatoes. After spending some time at the market gathering ingredients for dinner and other meals this week, I checked out and went home. Not long after getting home, it hit me: I forgot the crushed tomatoes. Shoot! But then I got to thinking… crushed tomatoes, Italian seasoning, and garlic… that’s basically pasta sauce! And I always have a jar of basic pasta sauce in my cupboard because it’s a kitchen staple. So I swapped out the crushed tomatoes, Italian seasoning, and garlic for my basic tomato basil pasta sauce, and came up with these 3 ingredient Italian Turkey Burgers. And I must say, these are delicious. Not in the this-is-a-fine-Tuesday-night-meal way. But in the finger-licking, oh-my-God-this-is-amazing way. 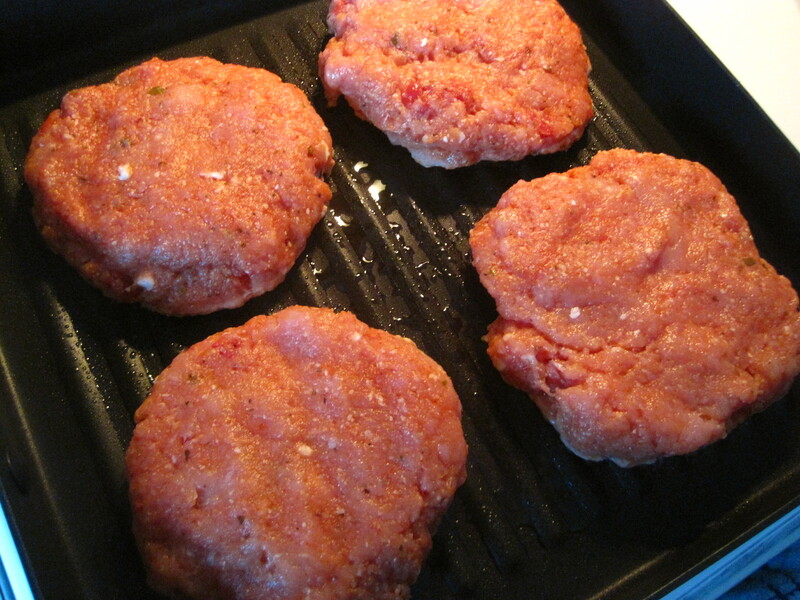 Because of the pasta sauce, these are juicy and tender, not at all dried out like a typical turkey burger. The sauce and Parmesan add a huge punch of flavor that reminds me of biting into a giant, gooey meatball – and not the healthy kind, the naughty kind. I wrapped these in lettuce, which gave it a nice crunch and texture to offset the burger – not to mention, it’s much healthier than a bun. But you can certainly put these on a bun, as well, or even eat them plain. You really can’t go wrong. 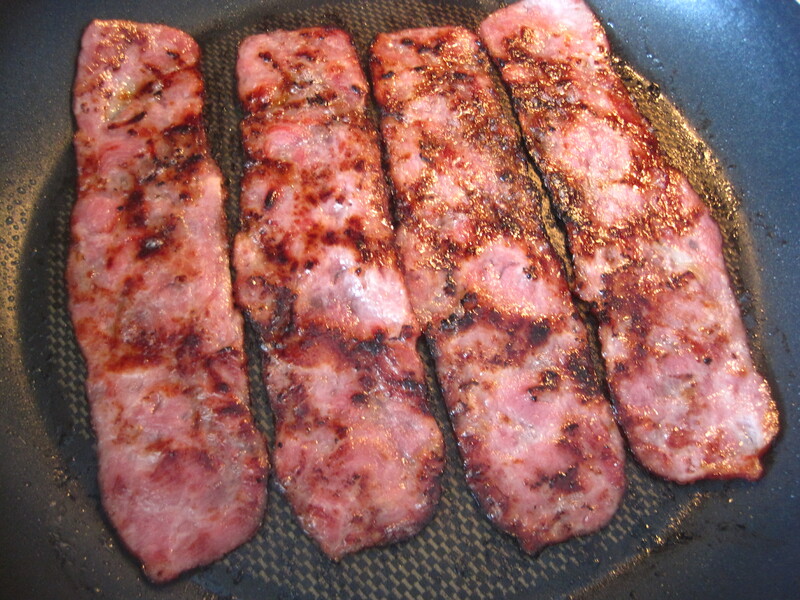 Set a grill pan (or a large skillet) over medium-high heat and spray with cooking spray. Dump your turkey in a medium size bowl. Add the pasta sauce and Parmesan, then use your hands to combine. 3 simple ingredients. 1 amazing dinner. Divide the mixture into four (approximately) equal parts. 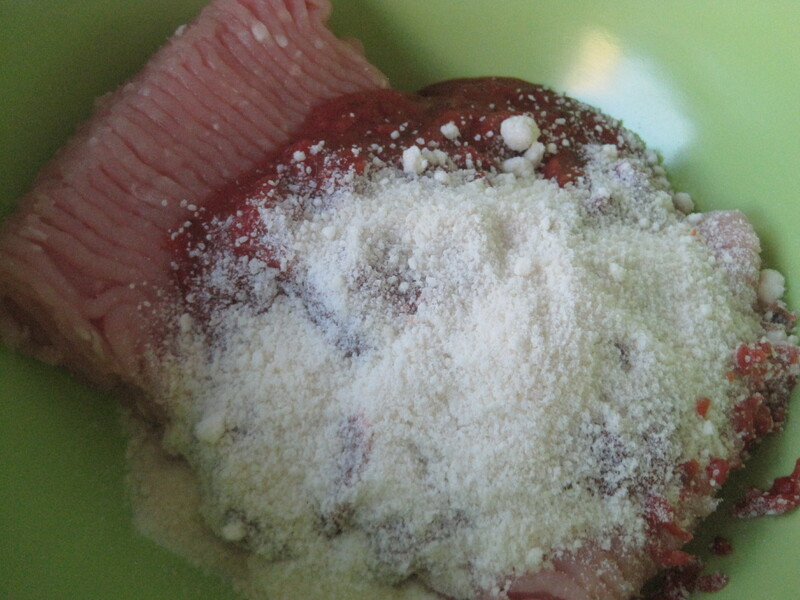 Roll 1/4 of the mixture into a ball in your hands, then flatten to make a patty. Place these in the pan as you go. Because the pasta sauce is red, it gives these the allusion of looking like beef. Cook for about 5 minutes on each side, or until it’s no longer pink in the center. Wrap in lettuce, put them in a bun, or just eat it plain. Whichever way you choose, get to it! I will definitely be making these often. 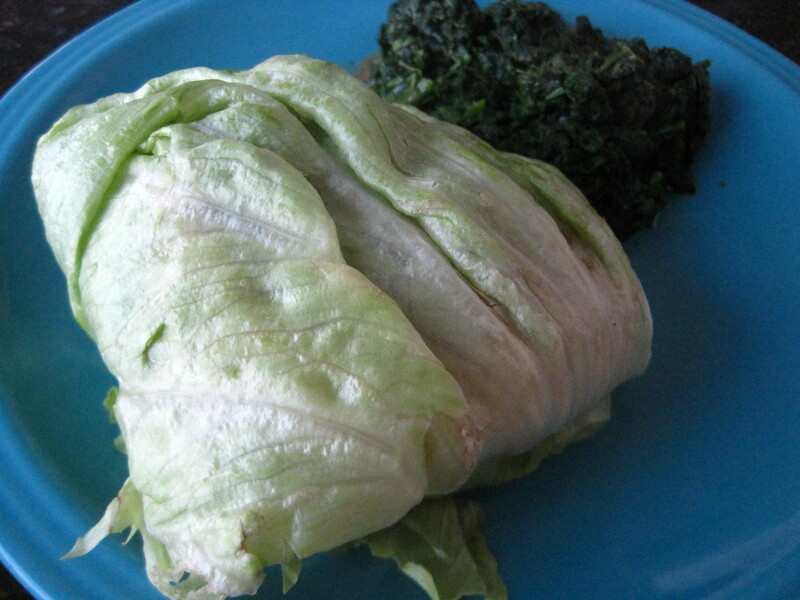 Wrapped in lettuce and served with a side of spinach drizzled with a mustard vinaigrette. This unexpected Tuesday night meal was definitely worthy of a Friday.